Infiniti is a very new brand on UK shores. It is the luxury division of Nissan, introducing high-quality vehicles to the European market. Despite being a niche brand, Infiniti is a very viable option as an alternative to the usual German and British options. The manufacturer?s range offers a great selection of larger cars, including saloons and SUVs that are more than capable of competing with the likes of Audi?s A4 or Mercedes?s C-Class. 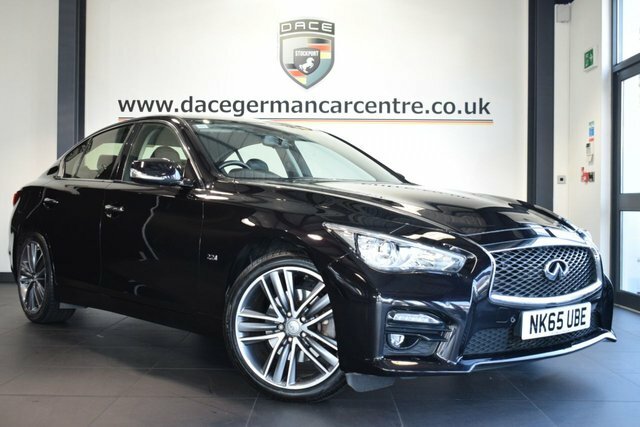 To view our full range of used cars, including examples from Infiniti, visit our showroom in Stockport today and let a member of expert sales team guide your round the vehicles that catch your eye.